The whole interior of our home is a untreated knotty pine with what we thought was worm hole. Very beautiful rustic. WRONG!. All the sudden we have an active infestation of powder post beetles. and they are dropping from the ceiling in every room. We find about 10 to 15 adult beetles a day. Can we spray your product directly on our untreated walls? Help!!! Yes, you can spray the Bora Care directly on the untreated wood. 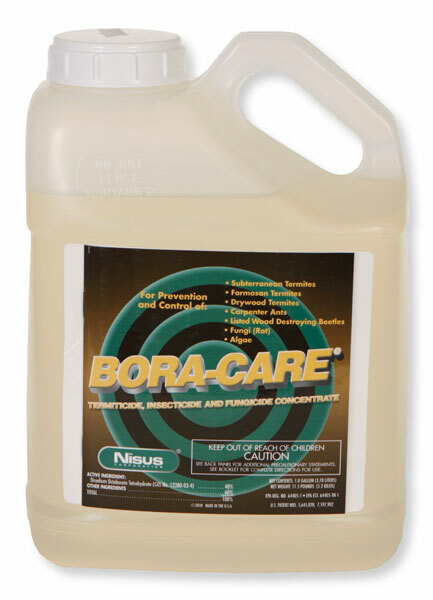 If the wood has any finish, coating, stain, paint, etc, then the Bora Care will not penetrate. Bora Care will penetrate about 2 inches into the wood. The wood needs to be sprayed from all sides if possible. My #1 recommendation on Powder Post Beetle infestations is to have the structure fumigated. Bora Care does a good job of preventing pests. It will not do such a good job of controlling existing infestations.